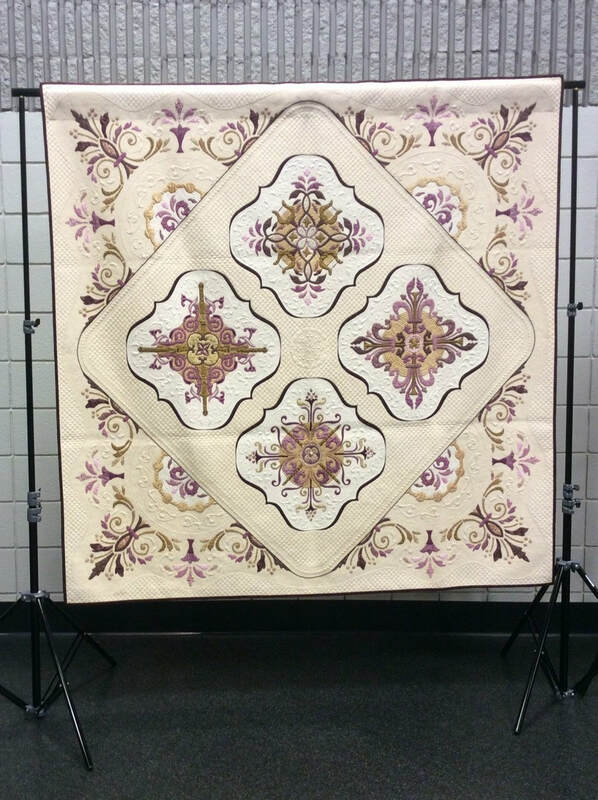 Our members are prolific quilters and we love to share our creations. 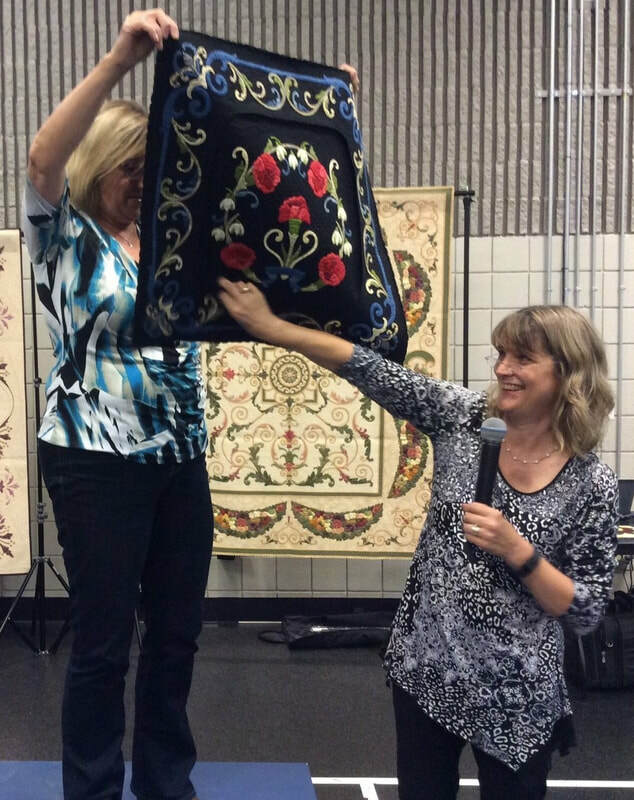 Members show their sewing projects at the monthly guild meetings. 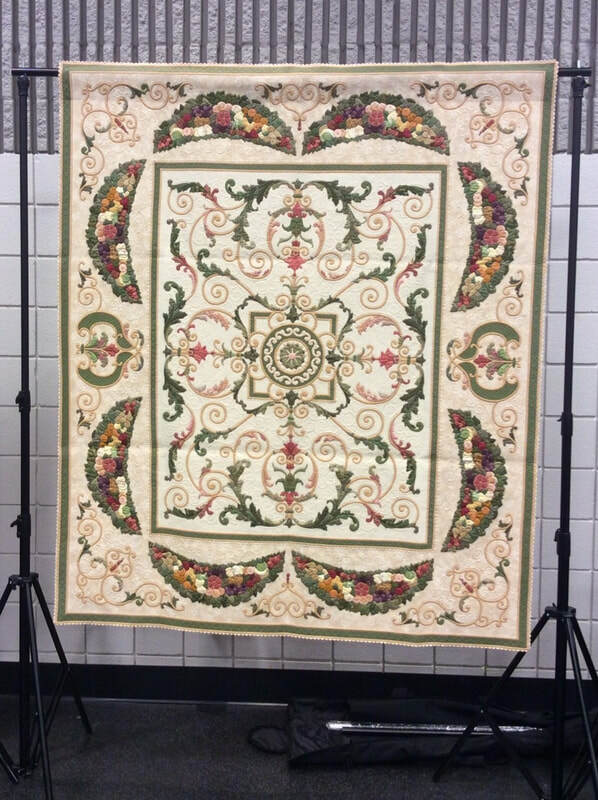 Our guild members work on quilts which are donated to charities in the community. ​Outreach Day 2019 - Working together to make some quilts which will give "comfort" to others in our community. This year's event featured the first annual Iron Quilters Challenge. See HQG Challenges for more photos. 2018 - 2019 Our first Iron Quilters Challenge on Outreach Day was a success … despite Mother Nature! 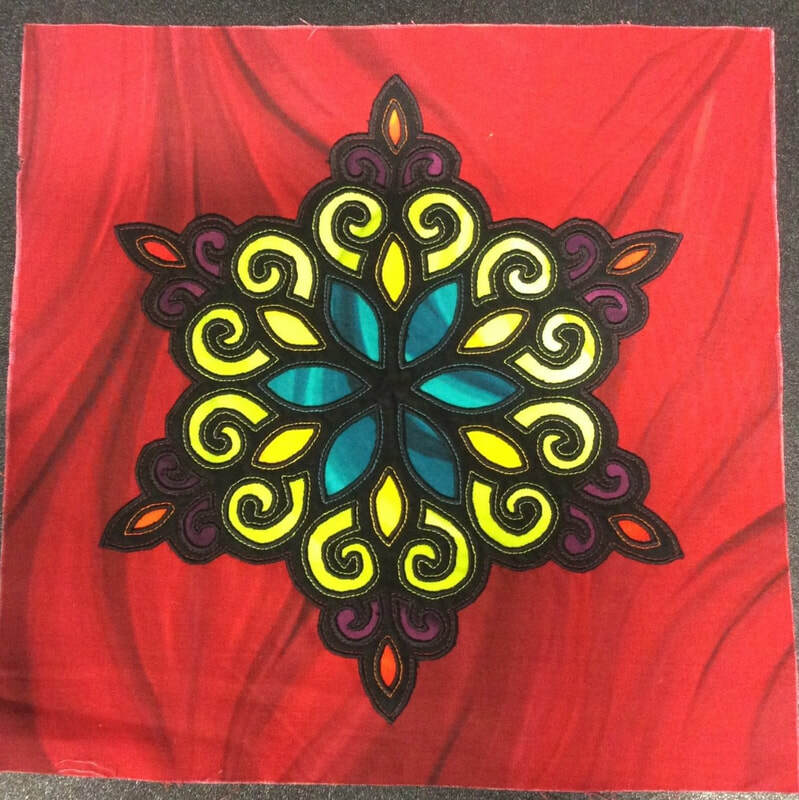 ​2017 - 2018 Our second Mystery Quilt Challenge proved equally popular with members of the guild. 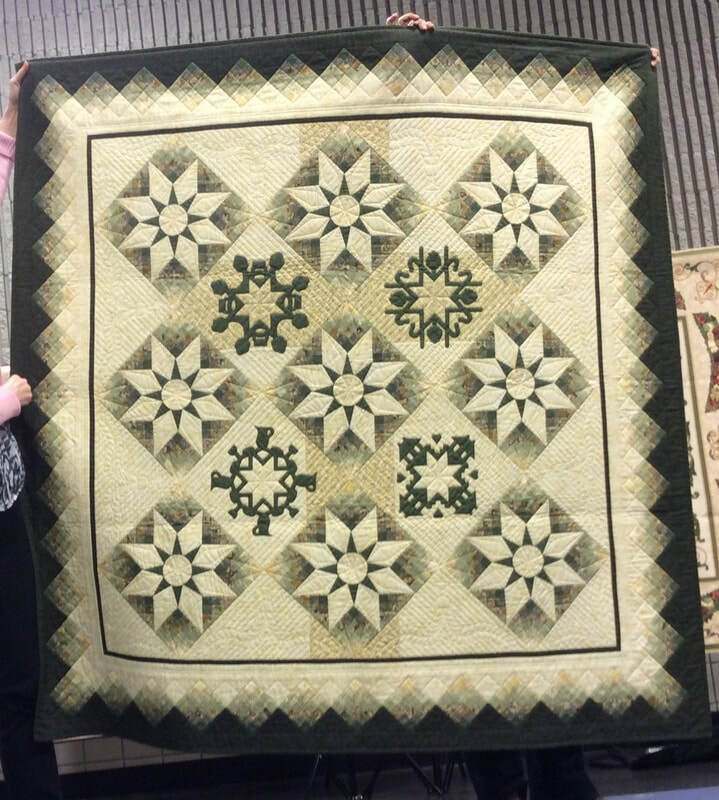 FEBRUARY 2019 Elsie Panko, a member of the Halton Quilters Guild for 10 years, presented a trunk show of her quilts. 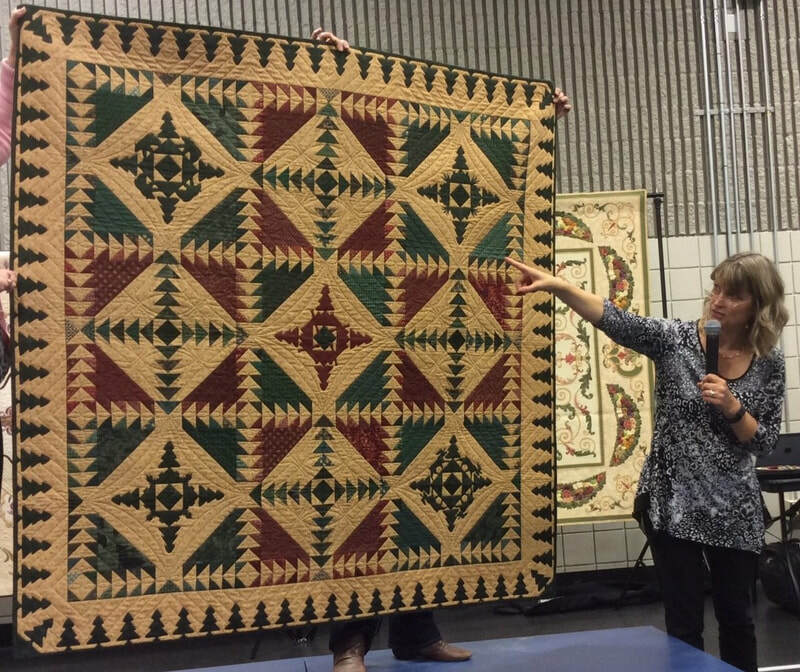 ​Her collection featured an extensive variety of colourful quilts featuring different styles and techniques. 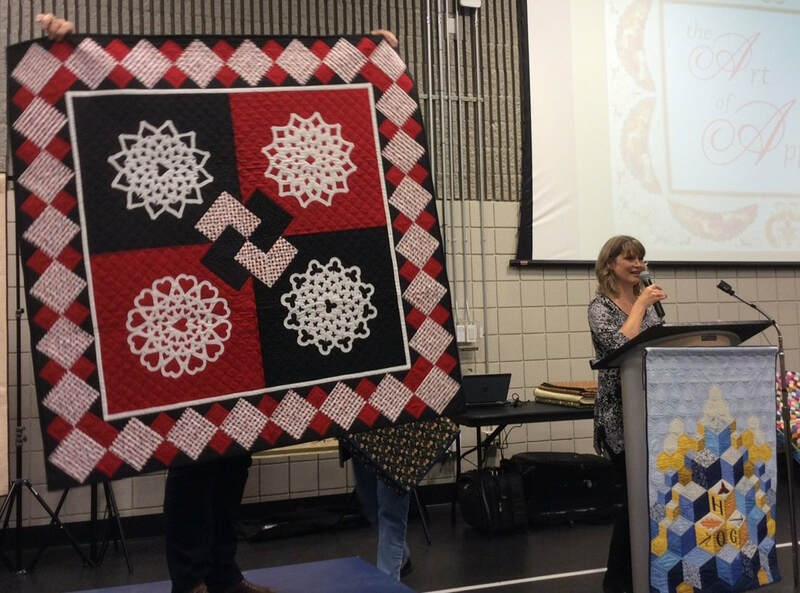 NOVEMBER 2018 Annette Guenther, a member of the Halton Quilters Guild for 12 years, presented a trunk show of her quilts. 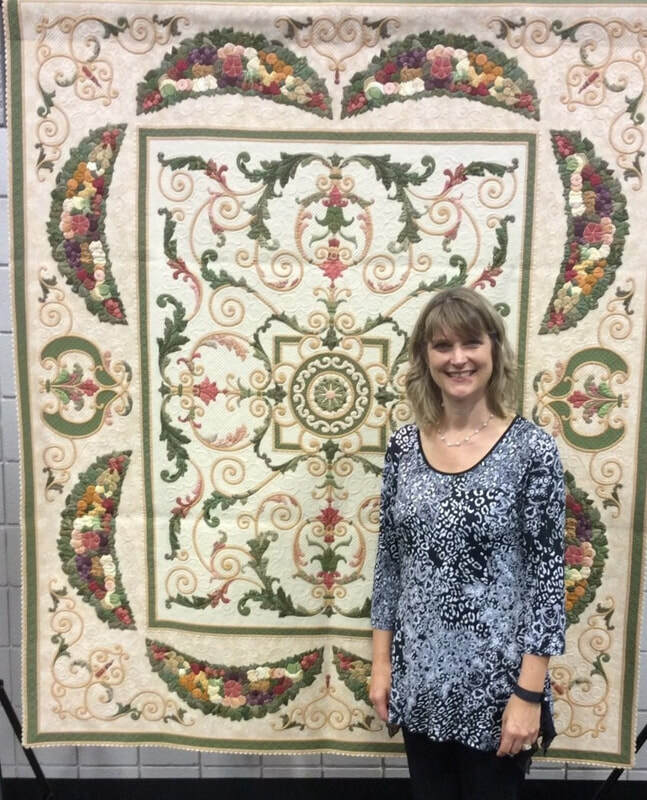 Since she began quilting 13 years ago, Annette has never looked back! She tries all types of patterns and different sewing accessories. Annette likes to improvise in her own way if she does not agree with a pattern. 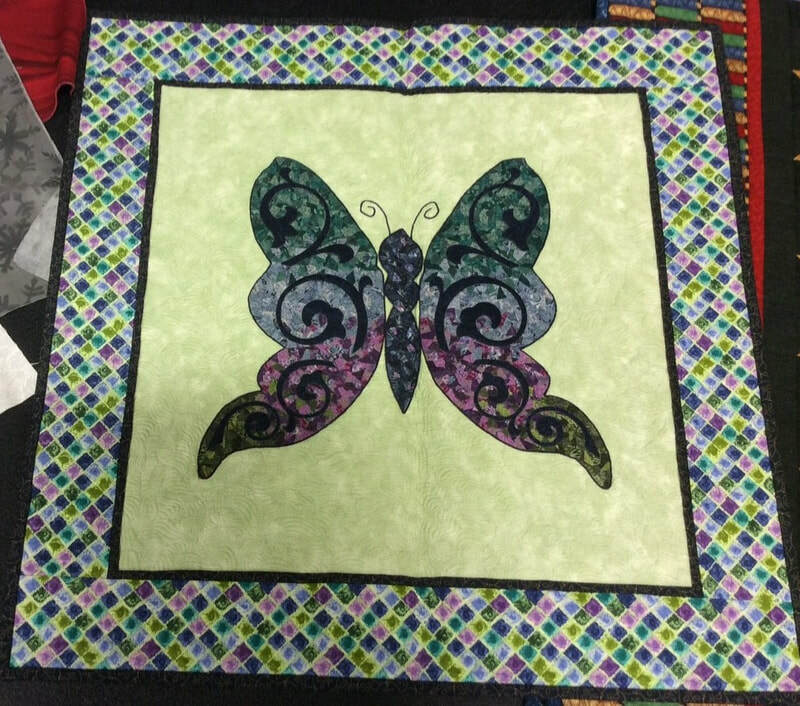 Retired now, Annette has more time to explore many other different ways to express herself through quilting and creating. 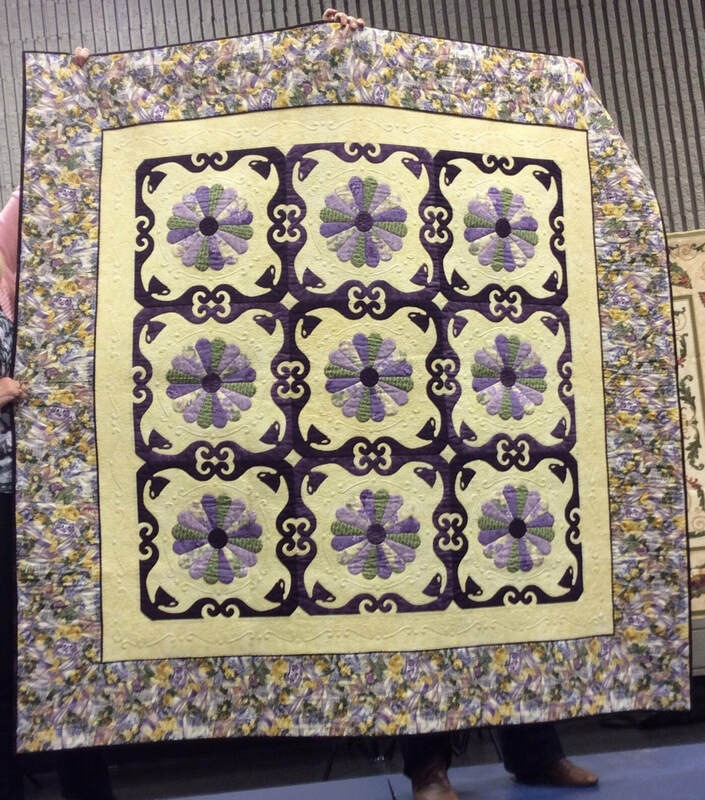 October 2018 Kathy K. Wylie's trunk show, "The Art of Applique", showed her development as an artist while illustrating how her quilts reflect her personal journey of faith. 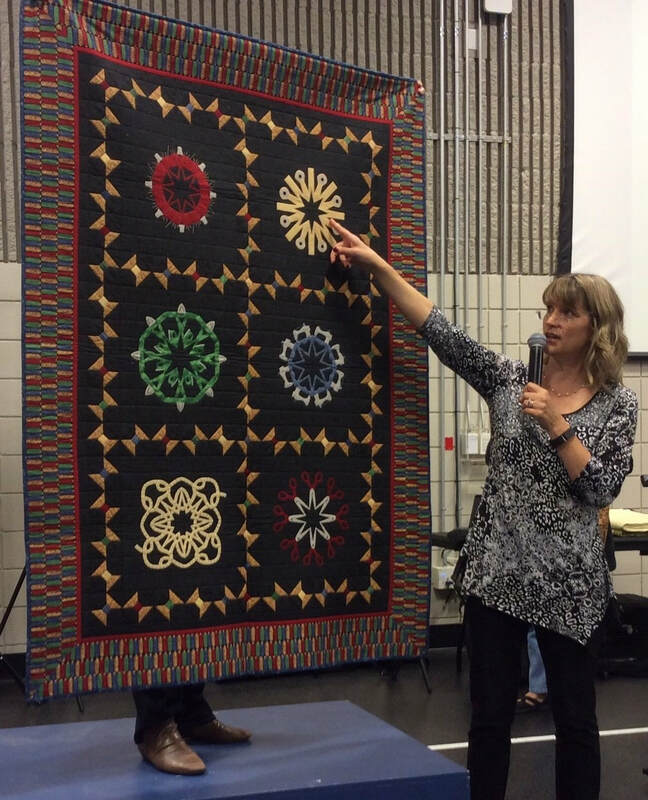 She shared her knowledge of skills and techniques that will help others develop as quilters. Learn more about Kathy’s work at www.kathykwylie.com.